Adidam is for those who will choose it, and whose hearts and intelligence fully respond to Me and My Offering. Adidam is a Great Revelation, and It is to be freely and openly communicated to all. The publication of The Reality-Way of Adidam: The Divine Process That Outshines All Seeking in the Perfect Freedom of Reality Itself is the fulfillment of a commitment made to Avatar Adi Da before His Divine Mahasamadhi — to publish a concise exposition of His Divine Reality-Way that conforms to His final Revelations. True to that commitment, the book leads the reader step-by-step through an introduction to the Reality-Way of Adidam, beginning with a description of Who Avatar Adi Da Samraj Is, the import of His human Lifetime, and the nature of the Blessing He eternally Offers to all. Then follows an overview of the three dimensions of Adidam: "radical" devotion, right life, and "Perfect Knowledge". Read about these three dimensions in an excerpt from the book on page 3. The book then provides a description of the three congregations of Adidam and the unfolding of Avatar Adi Da's Gifts of Transcendental Spiritual Awakening. 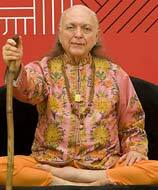 In the final year of His bodily lifetime, Avatar Adi Da named this process of Transcendental Spiritual relationship with Him "Atma Nadi Shakti Yoga" — meaning that the Transcendental Spiritual process of Adidam is the Way (Yoga) of the Blessing-Force (Shakti) of Avatar Adi Da's own Divine Self-State (Atma), Which Is the Current (Nadi) of Divine Love-Bliss. The final section of this book explains why the Reality-Way of Adidam is unique among all the paths and traditions of religious, Spiritual, and Transcendental instruction. The Reality-Way of Adidam is intended both as an introduction to Adidam and as a core text for the curriculum studied by all who are interested in becoming Avatar Adi Da's Second Congregation devotees. While The Reality-Way of Adidam has predecessors (in such books as The Way of Adidam  and Adidam ), this book is completely new. It is the only book to describe the final form of the Reality-Way of Adidam as given by Avatar Adi Da and includes many quotations from Avatar Adi Da's final masterwork, The Aletheon. Next: "I Am Where You Stand"
At heart, everyone yearns for a Truth that transcends the mortal suffering of life. Everyone intuits, in one way or another, that such Truth exists. Adidam is, fundamentally, and always, the mysterious and Transformative relationship to Adi Da Samraj. He is the One who has demonstrated and communicated the means whereby living beings can participate in the egoless Reality that is Truth.